As one of the PH fleet prepares for hibernation, another emerges from a summer of lethargy. Yes, forgive me for I have sinned; my Elise has barely turned a wheel all summer. It's a shameful admission, and as easy as it would be to blame our awful summer, the honest reason for its inactivity is I've been too busy on two wheels to spend any time with four. Could've had a lift in a Citroen. Didn't. After two months of slumber it's safe to say I approached my Elise with guilt and trepidation in equal measure. After brushing off the cobwebs and pumping up the tyres it was time for the litmus test; would it start? Although not a marque famed for its dependability, the K-Series fired up at the first turn of the key and settled into a familiar beat. So much for my lack of faith. 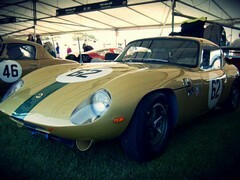 The reason for its resurrection was the Goodwood Revival. With a beautiful warm, sunny late summer's morning forecast, the offer of a lift down in a Citroen DS5 was unsurprisingly scorned in favour of an early morning blat through the beautiful Sussex countryside. It might not have been the best drive I've ever had, but there was something about the combination of car, conditions, roads and our period of separation that elevated the experience. 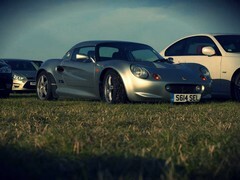 Hearing the throaty rasp bouncing off the hedgerows, feeling the feedback from the steering as the suspension settled into the long, sweeping bends of the A285, blipping down into third for an overtake; just a few of the elements that combined to remind me why the Elise S1 is such a great little car and why I'm such an idiot for not making the most of it. For a first timer like me, Revival itself was a brilliant event. So much thought and effort has gone into the period detail that you can't help but feel immersed in a glamorous time warp. 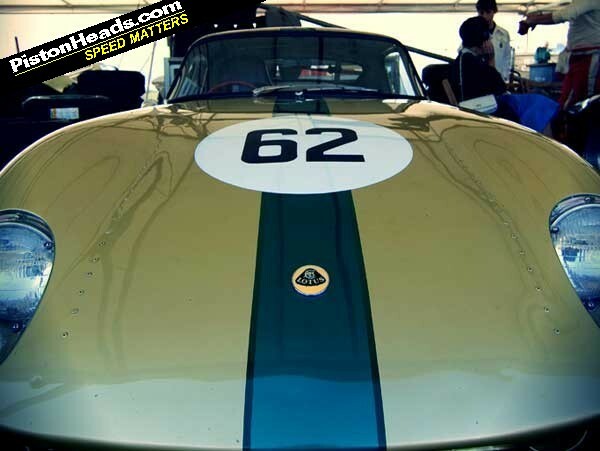 And, of course, the racing itself is breathtaking. Watching priceless classics trading paint while holding lazy four wheel drifts is something that will never get boring and a welcome antithesis to the endless grip of most modern race cars. 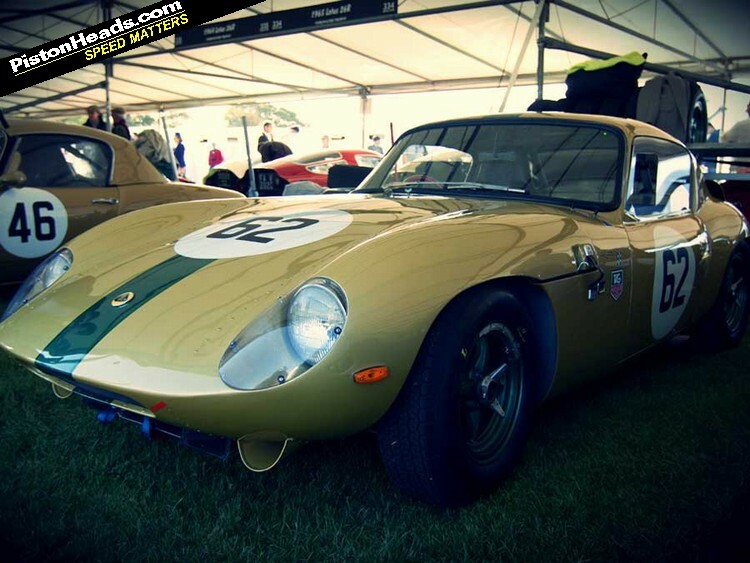 It was equally gratifying to see so many lovely classic Lotus models being driven in anger, with most of my dribbling being reserved for the green and gold Elans of Ian Walker. As an S1 owner, it was also exciting to see the concept for the Elise Sprint in the 'Earl's Court' motor show. Although chopping off the windscreen does little for the - some might say already challenging - looks of the S1 and apparently did even less for the handling, with chronic understeer being the result of the altered weight distribution and aerodynamics. After the chequered flag was waved for the Can-Am racers at the end of the day, it felt pretty special to walk back to my own little classic and even more special to enjoy its simple pleasures on the drive home. So, Lord March, please accept my thanks, not only for entertaining and enthralling the public on a grand scale, but reviving a love affair on a much more personal level. 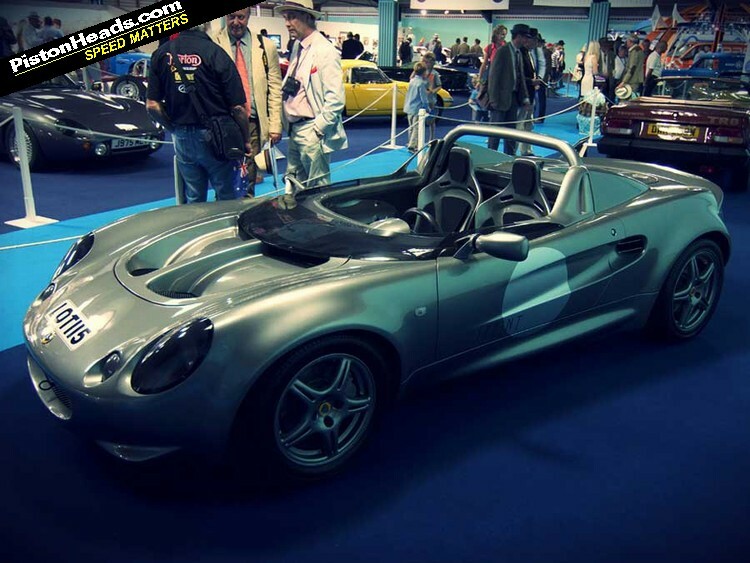 Why's the Elise apparently slower on its fancy new suspension? 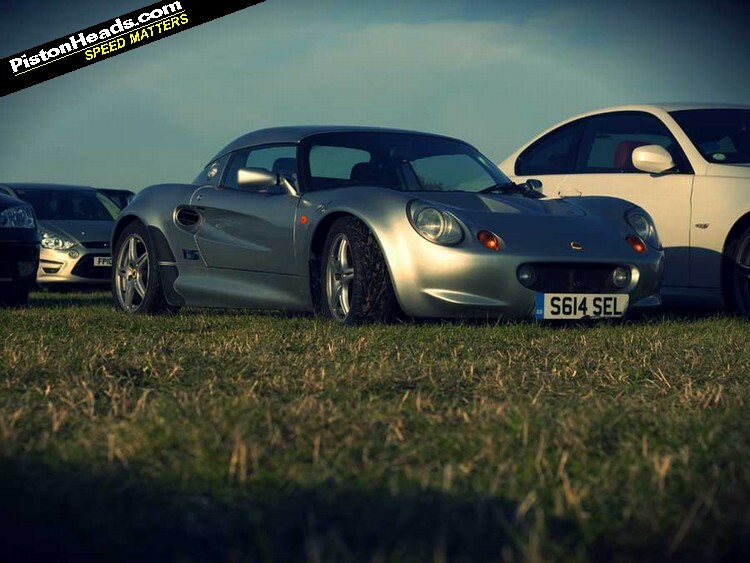 A Lotus joins the PH Fleet! 2 months! I'm feeling guilty having not driven mine for 2 weeks! However, I understand what you mean about a mundane drive somehow being more than the simple getting from A to B that it entailed, each drive in mine is has little moments to savor when I get back home. Adding to that, Revival is an excellent event and I urge everyone to try and attend at least once, the sounds of 3 250 GTO's going hammer and tongs into turn 1 was a great experience. I love revival, every part of it from the drive down to the journey back. There was some fantastic racing this year. The only downside was it did seem busier than ever. A very minor niggle though. Not surprised the lotus started so easily my best mate lays his up for the winter each year and I think it's started all but once post lay up. He's also had none of the problems that these cars are "famed for". Great car I'll have to get one before the prices rocket. I've got an old Autocar at home containing a drive article about this car- it was bought as a non-runner by a dealer in Sailsbury and converted to roadgoing spec (IIRC everything needed for this was already installed, all he had to to was plumb it all in). Cropley and a few Lotus engineers tried it and as a result decided that the 340R they were developing needed a windscreen.